The MongoDB Innovation Awards celebrate organizations building the world’s most innovative applications, recognizing those with a transformative impact on their respective sectors. Recently, Experian Health was recognized for our innovation in healthcare. Our Universal Identity Manager (UIM), which integrates with MongoDB to accurately sequence patient data, can accurately match, manage and protect patient identity. Drawing on more than 40 years of experience managing identities across various industries, Experian Health’s interoperable patient identification solution leverages consumer credit data to improve record quality. Our UIM creates a unique, universal patient identifier to identify patients and link their records to allow entities (pharmacy, lab, payer, and provider) with disparate databases, systems, and data formats to share a single view of the same patient. Accurate and complete information is securely exchanged, minimizing medical and billing errors, and fraud. Our consumer demographic information combined with reference data and referential matching methodologies allow the UIM to achieve higher matching rates and mitigate matching challenges associated with data quality. 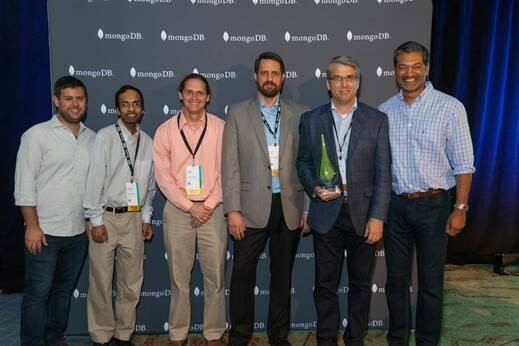 Michael accepted the award on behalf of Experian Health at the annual MongoDB World event in Chicago on June 21, where he joined 13 other innovative companies being awarded in different categories. *Offer is limited to Experian Health’s UIM Batch Process product and shall remain open for such time as Experian Health may decide.